Nominations have opened to the very first CiteAb Antibody Awards. The awards aim to celebrate the very best suppliers, reagents and individuals in the research antibody sector, recognising the efforts that are made to progress science. Our founder, Dr Andrew Chalmers, said: “CiteAb generates a great deal of data which is based on the analysis of hundreds of thousands of publications which use research antibodies. Therefore it gives us an unrivalled view of trends in the market. We are thrilled to be partnering with F1000Research to launch the awards. F1000Research value quality antibodies which help to progress science, and have recently launched the F1000Research Antibody Validation Collection. The CiteAb Antibody Awards are another way for the company to recognise those in the sector who are doing great things and increasing the rate of progress. You can see F1000Research‘s blog on the awards here. 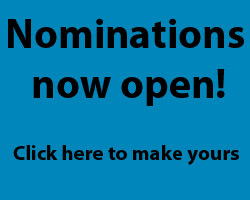 You can make an nomination for the awards at http://www.citeab.com/awards. The awards close for nominations at midnight (GMT) on Monday 12 January, and winners will be announced on Monday 26 January.